4 + four = Required Please enter the correct value. Gold prices today were mostly flat. It's a quick break for the precious metal, which has been experiencing one of its most volatile weeks of 2016. The gold price per ounce is climbing this morning (Tuesday) as investors respond to news of a deadly terrorist attack in Brussels, Belgium. Gold prices were trading up $9.40, or 0.76%, at $1,253.50 an ounce in midmorning trading amid a flight to safety. The price of gold is soaring more than 3% today (Thursday) and is now up more than 20% year to date. But our forecast shows the price of gold climbing even higher in 2016. One of our top recommendations at Money Morning this year is that investors should buy gold in 2016. While gold prices have climbed already in 2016, there are two “flashing” signals that show the price of gold will climb even higher this year. The price of gold climbed today (Thursday) as a sharp sell-off in China's stock market sent investors to the safe-haven asset. Just after noon today, spot gold prices were trading up $10.90, or 0.89%, at $1,240.40 an ounce. The price of gold ended yesterday's session up $16.40, or 1.34%, at $1,238.70 an ounce. Coupled with today's gains, the precious metal is now up 17.5% so far this year. After a steep climb over the past two weeks, the gold price is down 0.25% today (Friday) in afternoon trading. And while gold prices may head lower in the short term, we are still very bullish on the gold spot price for the rest of 2016. First, here's why the gold price is down today. Gold prices today keep climbing, up 8% in the past week. Spot gold traded around $1,238.50 last week. Gold prices surged to a 12-month high above $1,240.00 an ounce Thursday as investors around the globe piled into safe-haven assets. Spot gold prices were sharply higher in early trading, up as much as $45.50, or 3.8%, at $1,242.26 an ounce. 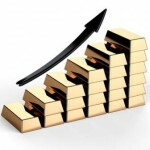 The price of gold today is climbing as stocks continue to be extremely volatile. 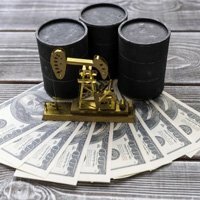 But there have also been some significant developments on a macroeconomic basis that have driven gold higher in the past week. Gold prices today (Wednesday) rose to three-month highs after a weaker than expected U.S. ISM non-manufacturing report had investors piling into gold. Just before noon Wednesday, spot gold was trading up $10, or 0.89%, at $1,140.00 an ounce. Spot gold prices slipped $9, or 0.80%, Thursday morning to $1,116.70 an ounce as many investors took profits following a week of gains for gold prices. And while spot gold was down today, dovish comments from the U.S. Federal Reserve yesterday were a big indication that gold prices will continue climbing in 2016. Gold prices were slightly lower today (Thursday) as markets calmed, but we still see gold prices soaring in 2016. In fact, investing in gold is one of the smartest decisions investors can make during this extreme market volatility. Buying into a gold ETF is one of our top recommendations for 2016, as Money Morning experts remain extremely bullish on gold prices. On Sunday, Nov. 15, I watched the NY spot gold market closely to look for its reaction in the wake of the terrible Paris attacks. Right at the open, the gold price shot from $1,085 to $1,090 as traders bought gold as a safe haven in reaction to concerns about geopolitical instability. But that was short-lived. Gold news update: Gold prices today (Wednesday) coming off two and a half months of lows.